We’d love your help. Let us know what’s wrong with this preview of The Ruby of Carminel by Roger Mortimer. The Ruby of Carminel is the final book in the best-selling Mouse Kingdom trilogy. The island of Carminel lies in peril. The Black Widow Empress Ravanola has sent her wicked stoat warriors, led by Lord Malatesta, to steal the Great Ruby and destroy the peaceful Mouse Kingdom for ever. Only the brave Captain Roamer and his band of fearless sea-mice stand ready. 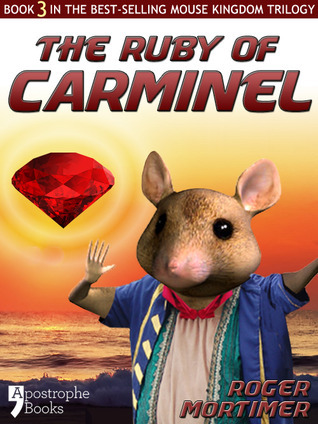 But can they re The Ruby of Carminel is the final book in the best-selling Mouse Kingdom trilogy. To ask other readers questions about The Ruby of Carminel, please sign up.